Our entry level beds are approximately 20% stronger than other conventional beds in town. You can build and maintain your tan in a 20 minute session. 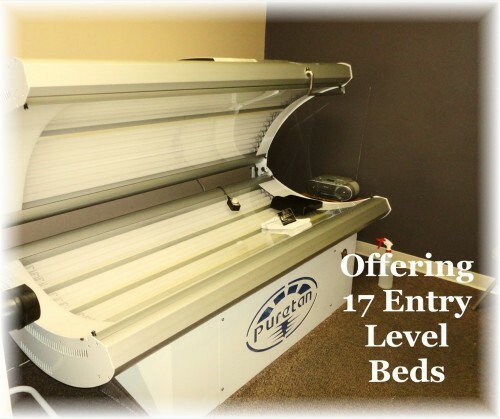 We offer 17 entry level beds for your convenience. Offering 17 Entry Level Beds. Maximum time 20 minutes.